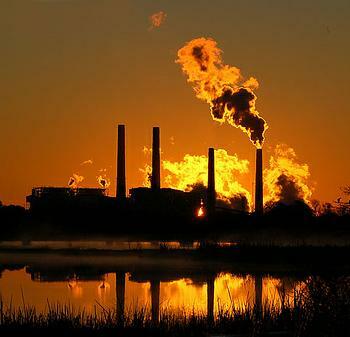 WASHINGTON, DC, December 10, 2010 (ENS) – A federal appeals court today rejected a motion by several industry groups and states opposed to climate regulation for a partial stay of the U.S. Environmental Protection Agency’s planned regulation of greenhouse gas emissions under the Clean Air Act. A three-judge panel of the U.S. Court of Appeals for the District of Columbia Circuit denied all the pending motions to stay EPA’s regulations of greenhouse gases, some of which are scheduled to take effect on January 2, 2011. The case, Coalition for Responsible Regulation Inc., et al., v. EPA, pits the U.S. EPA, 16 states and environmental groups against industries, global warming skeptics and 14 other states. This decision is by no means the end of the legal action. The court also said that, as the petitioners had requested, they would hear oral arguments in the case. The National Association of Manufacturers, one of the petitioning groups, was “disappointed” in the ruling. “We continue to believe that our arguments presented a compelling case for an issuance of stay. he EPA’s agenda places unnecessary burdens on manufacturers, drives up energy costs and imposes even more uncertainty on the nation’s job creators,” Riegel said. “We will continue our efforts to stop the EPA from pursuing its job-destroying agenda. We are confident that the merits of the litigation are strong and we will move forward aggressively,” he said. But environmental groups were hopeful that the court’s ruling is the start of reduction in climate-warming greenhouse gases. “Doing nothing to confront the climate crisis is not an option. According to a large consensus of scientists, our planet is heating up to increasingly dangerous levels. Doing nothing threatens our air, our water, our food, and our health. EPA’s action to regulate and limit this pollution is an important step toward protecting people,” Brune said.